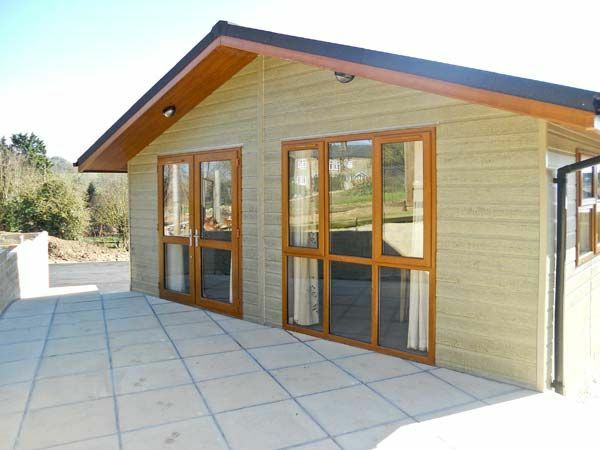 Poppy lodge is one of two luxury lodges nestled in a lovely, tranquil site, in the grounds of the owners’ farm, right on the border between Somerset and Dorset. 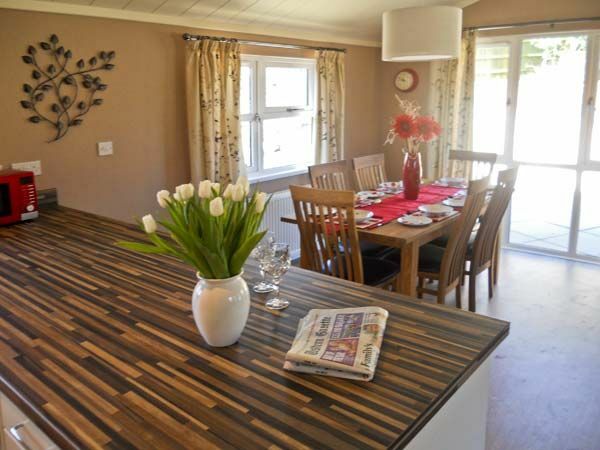 Poppy Lodge is a fantastic place for a romantic retreat or a small family holiday away from the hustle and bustle of every day life. The surroundings are what really make these lodges so wonderful. 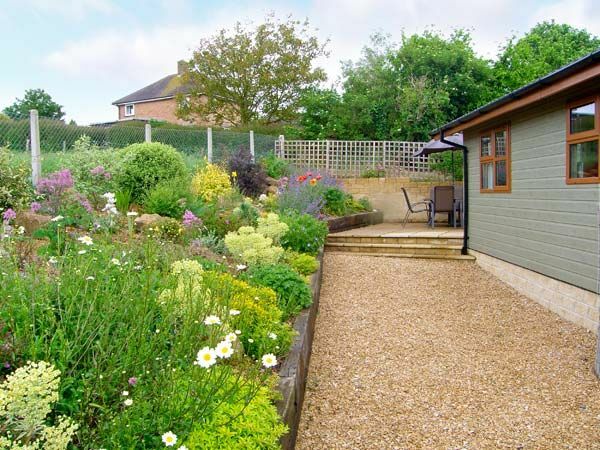 Situated in the heart of a designated Area of Outstanding Natural Beauty, with rolling green fields, and stunning scenery and walking trails right on the doorstep, they make an idyllic base from which to explore the lovely region. 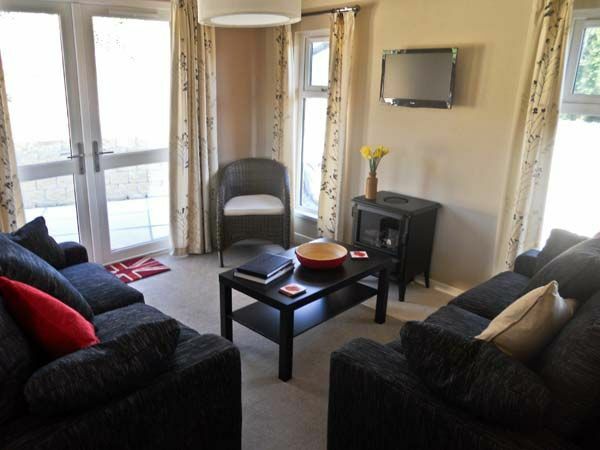 Poppy Lodge itself is bright, spacious and elegant. It boasts plenty of luxurious features and finishings, including a private, furnished patio that looks out over the picturesque views. 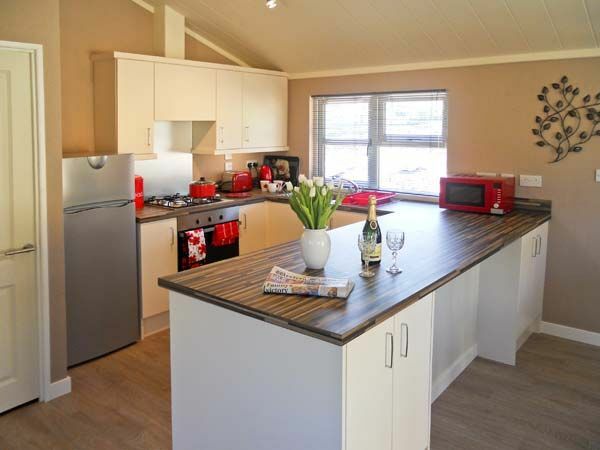 All on the ground floor, the lodge consists of three bedrooms: one king-size double with a TV with Freeview and an en-suite shower, basin and WC, and two twin rooms. 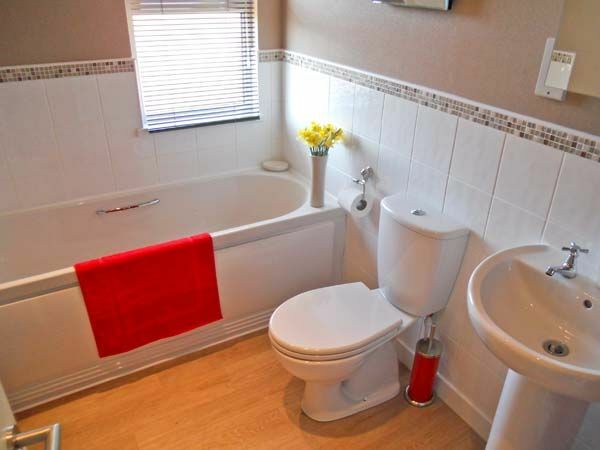 There is a main bathroom with a bath, basin and WC. The large open plan living space has a beautiful vaulted ceiling, stylish fitted kitchen, dining area and sitting area with flame-effect electric fire. 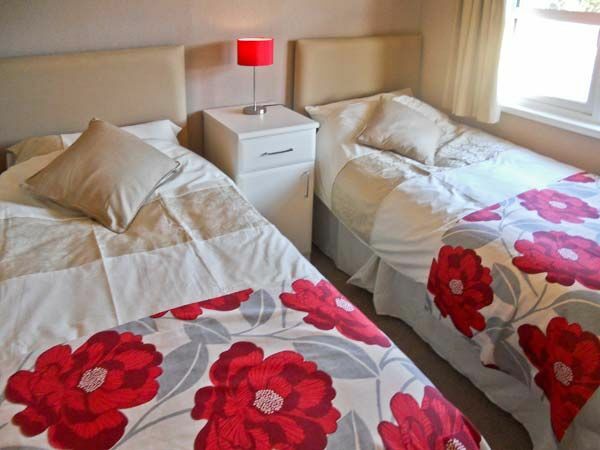 General amenities include: Calor gas central heating and an electric fire, an electric oven and hob, a microwave, fridge/freezer, and washing machine. 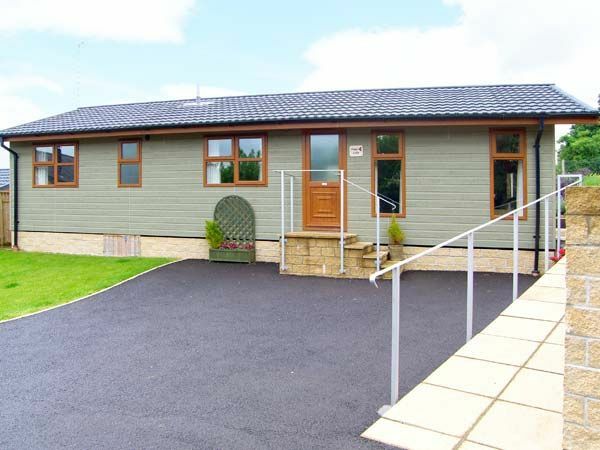 The lodge boasts two TVs with Freeview, a DVD player, Wi-Fi, and a great selection of books and games, so guests will never be short on entertainment. Fuel, power, bed linen and towels are all included in the rent and a travel cot and highchair are available on request. 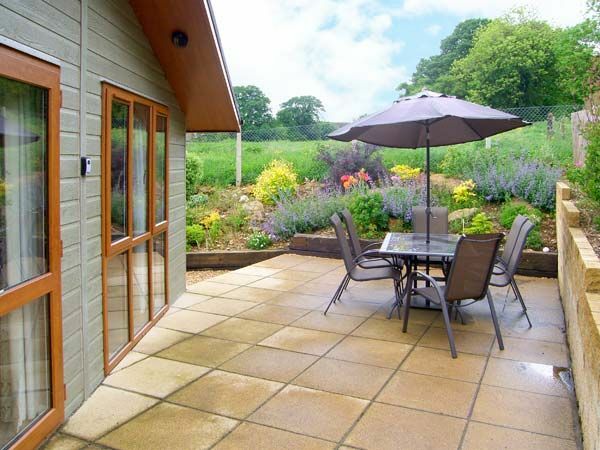 The paved, rear patio looks out over the lovely scenery, and provides a wonderful setting for a morning coffee or a summer evening drink, soaking up the tranquil atmosphere and green views. The nearest shop and pub are less than three minutes’ walk away. There is off road parking with space for two cars. One well-behaved dog is welcome. Sorry, no smoking. Please note: although all on the ground floor, this property isn’t suitable for wheelchair users. The cabin is available for winter, off-season and last minute breaks, making it a great place to come and relax at any time of the year. Just on the Somerset side of the border between Somerset and Dorset, Charlton Horethorne is a charming rural village, with a traditional village green, excellent village shop and a lovely local pub. 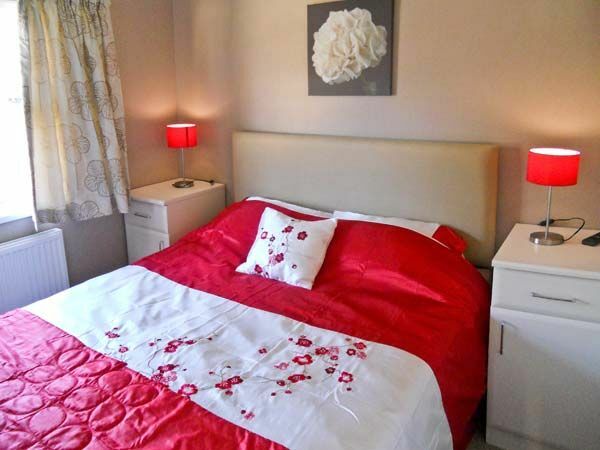 The area surrounding the village is a designated Area of Outstanding Natural Beauty, and offers a plethora of stunning walking trails and scenic days out. Just five miles away is historic Sherborne, with its impressive abbey and ancient castle. For a more lively adventure, guests should head to Wincanton, which offers an array of interesting shops and recreational facilities, including a famous racecourse. A little further afield you can wander around the delightfull Stourhead House and gardens, soak up some history at Yeovilton Fleet Air Arm Museum, or explore Glastonbury and its famous mythical sites. 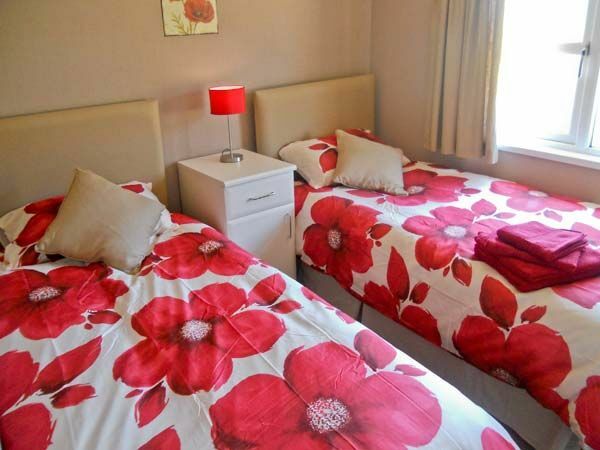 Cosy, luxurious and in the most fantastic, tranquil setting, Poppy Lodge is a wonderful base from which to explore this stunning historical area.